We live in a digital era, and each of us has a growing number of online accounts and passwords. The current estimates show that on average, we each have 27 discreet online logins, and that number is increasing. 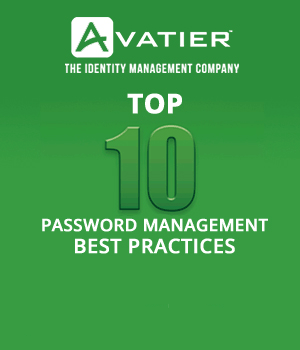 It can be overwhelming to manage so many passwords, and it comes with the risks of users choosing easy passwords and duplicating passwords across accounts. In the infographic below, we’ll walk through alternative login technologies that provide options to address our growing password problem. Social login is a secure way to sign into an account without needing a password. A third-party website will use a plugin or widget so users can sign in using their social media credentials. While this form of login is relatively new, it has grown in popularity, and currently 77% of users prefer social login over more traditional login methods. In a typical login scenario, users will have a username and password for each account. So for five web accounts, there will be five separate login credentials. When using social login, users access their accounts via social media authentication and authorization. So for example, access to those same five web accounts can be streamlined into just two logins, such as Facebook and Twitter accounts. Single sign-on, or SSO, is the most streamlined solution available to corporate environments. In this scenario, which is accurately visualized in this schematic drawing, one login gives access to a suite of systems. The use of social login has been widely adopted. 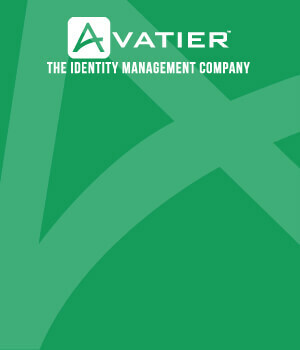 In 2012, 53% of users were entering their social media account credentials as authentication for other accounts and services. In just two years, this grew to 77% in 2014. Social logins skew heavily toward desktop users, with only 19% of mobile users using social login compared to 81% of desktop users. The most popular social media platform for social logins is Facebook, at 62%. Next is Google, which accounts for 24% of all social logins. The remaining platforms are Twitter at 7%, Yahoo at 4%, other platforms at 2%, and Linkedin at 1%. When social login options are available, Facebook and Google are almost always offered. Comparatively, Twitter is available 72% of the time and Yahoo is available 35% of the time. Is Social Login Right for Me? There are many advantages of using social login. For example, 39% of users have a hard time keeping track of passwords. These users are more likely to worry about password security, use simple passwords, and repeat passwords across multiple accounts. Implementing social login mitigates these challenges by simplifying the login experience and reducing the number of passwords per person. Additionally, social accounts confirm authenticity, which prevents fake account credentials and the need to validate authenticity with an email addresses. Social login also allows for account personalization by using demographic information. This can create better digital experiences, and reports show a 68% increase in user engagement because of a company’s ability to understand and interact with users. There are some disadvantages to social login, though. For example, it’s generally not used for high-security accounts like banking or health because social accounts are user-created and could be falsified. Also, social login is unavailable in environments where social sites are blocked, such as in schools or workplaces. We have also seen instances where the technical implementation results in security loopholes if it is not set up properly on the back end. Securing accounts with just a password is becoming outdated. Because of the growing frustration from users over the number of passwords, effective solutions are needed in order to continue our digital evolution. In Google’s rollout of its new login in 2015, it said it was preparing for “future authentication systems that complement passwords,” but we don’t yet know what that will be.